With about two days to go on its jaw-dropping Kickstarter campaign, Double Fine's next adventure game has acquired $2.7 million in grassroots backing from fans like you. 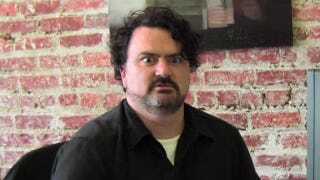 Double Fine's Tim Schafer provides a little perspective on the size of the kitty. There are 50 hours left to get in on the project. The game sought $400,000 originally and has raised almost 700 percent of its goal.